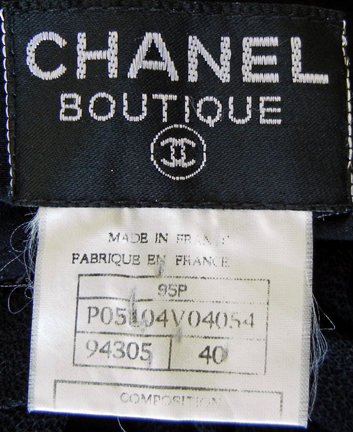 Chanel 1995 long dress fashioned of black silk (with some stretch) in a strap halter style. 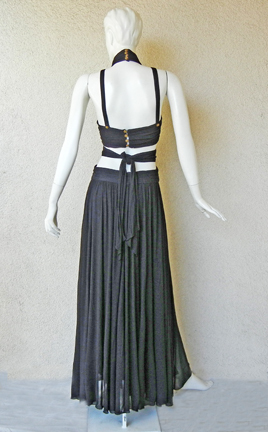 Features extending straps around bodice and neckline with tie back. Center thigh high slit. Fully lined. 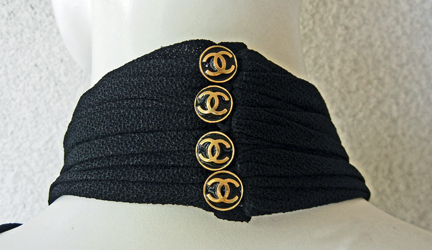 Ten (10) authentic Chanel enamel and goldtone buttons. WOW! 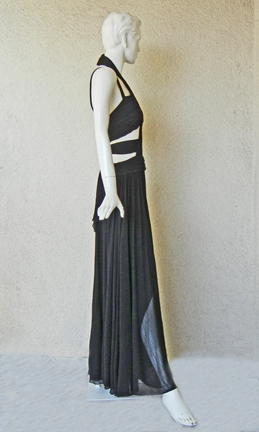 Size: 40; bust: to 34"; waist: 28-30"; length: 62"